(Newser) – Staples and Office Depot are scrapping their planned $6.3 billion merger after a federal judge blocked the deal, saying the government had made the case that the combination would likely hurt competition in office supplies, reports the AP. The Federal Trade Commission had sought to block the merger of the last two national office-supply chains, contending the deal would allow the combined company to dictate the price of supplies, especially for corporate customers that buy in bulk. The judge agreed, and the two companies said they will not appeal the ruling. 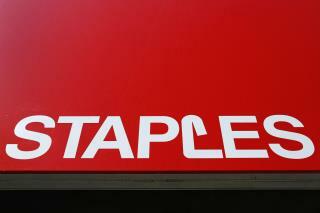 As a result, the larger Staples will pay Office Depot a $250 million breakup fee, reports the New York Times. Went to Office Depot to mail a package. They tried to make me pay $13 for a little box to ship thru UPS. I asked if there was an alternative; they hemmed and hawed. FINALLY, when I got loud enough, they admitted I could mail box for less than half that cost, thru USPS---right there! Asked why I wasn't offered the better price first, and was told the higher number always comes up first on computer screen because "WE HAVE AN AGREEMENT WITH UPS." Asked why their agreement with UPS was more important than their customer support and satisfaction. They told me I "DIDN"T HAVE TO SHOP THERE". So I won't. This outcome was a foregone conclusion. It was obvious from the start that the Justice Department wasn't going to allow the only two nationwide office supply chains to merge. The CEO and the Board at Staples ought to be made to cough up the $250 million out of their own pockets for being so clueless.